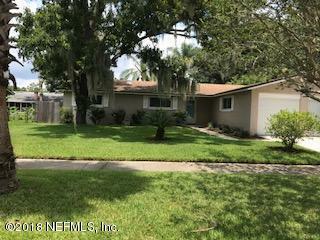 Fabulous opportunity to own a POOL home in the heart of Mandarin. All new kitchen in 2014 which features stainless steel appliances, breakfast bar and open to dining room. Beautiful vinyl wood flooring installed throughout in 2016. New front door installed in 2018. New sliding glass door with built in blinds in 2015. Master bath has tiled walk in shower with tile accents, hall bath has granite counter top and tiled tub/shower with tiled accents. New roof, and hot water heater in 2014. New garage doors 2014. New marcite lining hand troweled, and new circulation pump and filter system in 2014. Pool safety fence. This home is a must see!